With the buggy Win10 version 1803 cumulative update officially yanked, two bad Office patches pulled, and the Win10 1809 forced upgrade momentarily defanged, the coast is clear to install November’s patches. Here’s what you need to know about the latest game of whack-a-mole. November’s patches initially appeared relatively innocuous, with a few catastrophic problems in 64-bit Office 2010, which is a bit of a standing joke anyway. As the month melted on, we saw a Win10 version 1803 second cumulative update, KB 4467682, that caused havoc, including blue screens on Surface Book 2 PCs, and customized Start Menu bugs (thx, Günter Born). Microsoft yanked it on Dec. 6 — no small consolation to those of you who install everything as soon as it’s offered. Or even a week later. We also saw a reappearance of the Windows 10 September-October-November-December 2018 Update, version 1809. This time, nine weeks after the original release, the new cumulative update seems pretty stable, although I’m seeing some reports of jiggered sleep states. Meanwhile, we have an emergency Flash Player update (thank you, Adobe), KB 4471331, released a couple of days ago, that addresses a currently active exploit in the wild. Yes, it’s a December patch. Yes, you should install it now. Think of it this way. The worst it’ll do is mess up Flash — and that’s doing you a favor. Like so many other Flash updates, it screams for you to disable and abandon Flash entirely — something I’ve been harping about for years. As best I can tell, Microsoft’s re-re-release of Win10 version 1809, via KB 4469342, hasn’t yet triggered forced upgrades. You can run Windows Update on Win10 version 1803, at the moment, and be reasonably sure that you won’t get bumped to version 1809. If you actually want Win10 version 1809, check your pulse and your IQ, and make sure you install the new December 2018 Servicing Stack Update, KB 4070788, first. That compensates for the fact that the Windows updater isn’t smart enough to update itself first. No, I won’t point you to the instructions for installing 1809. I’m seeing more and more reports about problems with this month’s .Net patches. Fuhgeddaboutit. This month’s .Net patches are all non-security patches, and aren’t worth your time, or the headaches. That’s a bizarre, convoluted series of steps. Microsoft still hasn’t confirmed which third-party software is at fault, but reports have it that it’s largely a VMware problem. Eight months later, the bug’s still there, still acknowledged, still unfixed. If you use the Seek Bar in Windows Media Player, perhaps it’s time you look at something much more capable, such as VLC or Plex. But if you absolutely must have the Seek Bar, in WMP, don’t update until next Patch Tuesday. Yesterday Microsoft released yet another version of KB 4023057, the Update to Windows 10, versions 1507, 1511, 1607, 1703, 1709, and 1803 for update reliability. This is the 20th or 30th version of the patch. It’s most likely associated with the 1809 rollout, although why it didn’t appear in early October when 1809 first raised its ugly head leaves me baffled. You don’t need it, don’t want it, and if you find it installed, uninstall it. Unless you want to be pushed to 1809 at the earlier opportunity, anyway. Step 1. Make a full system image backup before you install the November patches. If you’ve already installed any March or later updates, your Network Interface Card should be immune to the latest slings and arrows. But if you haven’t been keeping up on patches, see the discussion in the Network Card bugs section above to protect yourself. For most Windows 7 and 8.1 users, I recommend following AKB 2000004: How to apply the Win7 and 8.1 Monthly Rollups. Realize that some or all of the expected patches for November may not show up or, if they do show up, may not be checked. DON'T CHECK any unchecked patches. Unless you're very sure of yourself, DON'T GO LOOKING for additional patches. In particular, if you install the November Monthly Rollups, you won’t need (and probably won’t see) the concomitant patches for October. Don't mess with Mother Microsoft. If you’re running Win10 version 1709, or version 1803 (my current preference), you definitely want to block the forced upgrade to Win10 1809. Don’t get caught flat-footed: Although it looks like we're clear right now, Microsoft may decide to push 1809 again with little or no notice. Follow the advice in How to block the Windows 10 October 2018 Update, version 1809, from installing. Of course, all bets are off if Microsoft, uh, forgets to honor its own settings. Those of you who run Win10 Pro and followed my “new tactic” advice last month — to set “quality update” (cumulative update) deferrals to 15 days — don’t need to do anything. Your machine got updated last week, and should be working fine. Don’t touch a thing. 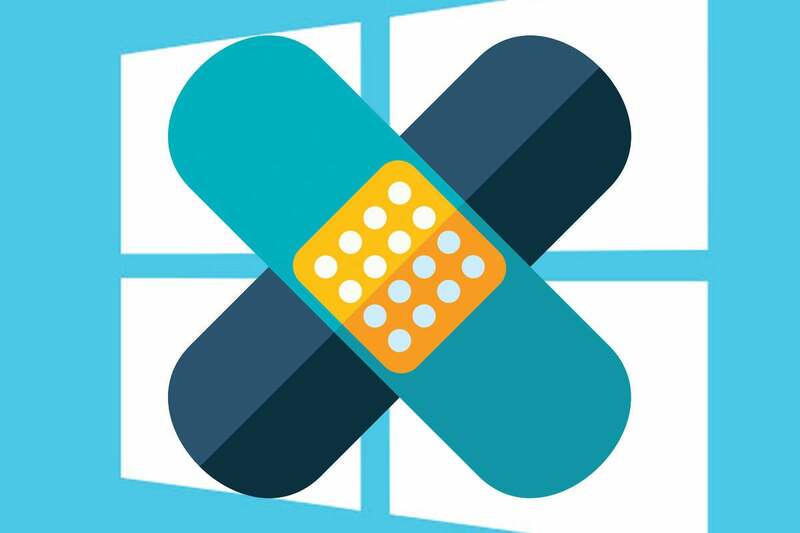 For the rest of you, including those of you stuck with Win10 Home, go through the steps in "8 steps to install Windows 10 patches like a pro." Note that clicking “Check for updates” in Step 6 won’t cause undue heartache at this point: the “seeker” Win10 1709 cumulative update is working fine; the second Win10 1803 cumulative update has been pulled; the second cumulative update for Win10 1809 (released in December) may actually help; and Microsoft isn’t yet forcing an upgrade to 1809 on Win10 1709 or 1803 seekers. Surely a temporary calm before the usual patching storm. You can use the wushowhide procedure in the “8 steps” explanation to block KB 4023057 — a patch you definitely don’t want. For those of you running Win10 Pro, I suggest you follow the instructions in Step 7, but leave your advanced setup settings like the ones shown in the screenshot. Windows patching has turned into a game of whack-a-mole. Make sure you’re the one with the mallet.